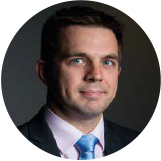 Mr. Matthew Kent is a specialist in shoulder and elbow disorders. He had advanced training in shoulder and elbow surgery and remains at the forefront of this rapidly developing area able to offer the latest treatments available. Mr. Matthew Kent accepts private patients at the Sefton Suite in Crosby and at Fairfield Independent Hospital. He is able to provide rapid and accurate diagnosis for all injuries and degenerative disorders of the shoulder and elbow. His aims to provide a personalised service with treatment focused on the individual’s needs and expectations. Mr. Kent maintains close relations with the treating therapists in order to maximize coordination of care and outcomes. If you would like to get in touch please call or click here to view our contact page and leave us a message.